If you thought the square-headed driver phenomenon was just a passing fad, think again. 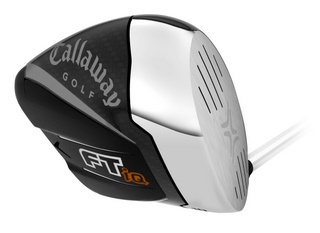 In an effort to follow up on its successful FT-i line, Callaway Golf has taken the wraps off its latest offering: the decidedly peculiar looking FT-iQ. Available in Canada in mid-November, the FT-iQ is being billed by Callaway as a new high-water mark for drivers that already push the edge of the envelope in terms of forgiveness, distance and accuracy. What it won’t do, at least as far as I’m concerned, is win any beauty contests. Of course they do. In fact, Jeff Colton _ Callaway’s senior vice-president of research and development _ says it’s 35 per cent straighter than the FT-i. That’s quite a claim, considering Callaway also boasts that the FT-iQ the longest driver they’ve ever built. But the proof of the technology is in the hitting, to coin a phrase, so we’ll resist passing judgment until after we’ve had a chance to give it a whirl. Concord, ON “ Callaway Golf has long been known for pushing the industry forward with innovative equipment. Today, the company introduced the most technologically advanced driver in the history of Callaway Golf: the FT-iQ. The unveiling took place at Callaway Golfs international sales meeting in Rancho Bernardo, Calif.
FT-iQ is the result of a multi-year, multi-million dollar program undertaken by Callaway Golfs world-renowned Research and Development team. Pushing multi-material Fusion Technology beyond previously held limits, the FT-iQ melds several cutting edge components into a sleek shape inspired by stealth jets and futuristic concept cars. Callaway Golfs designers believe it is the smartest, most advanced driver in the world. FT-iQ incorporates Complete Inertial Design, a Callaway Golf design principle which factors all of the clubs characteristics “ Moment of Inertia (MOI), Center of Gravity (CG), CG bias, face design, loft and lie “ to optimize the clubs overall performance. FT-iQ is available in mens and womens versions in both standard and Tour models. The standard models feature 9, 10, 11, and 13 (HT) degree lofts. The 10 and 11 degree models are available in left-handed versions. The Tour version has a slightly more open face, and is available in 8.5 and 9.5 degree lofts; the latter is also available in a left-handed version. FT-iQ will be available internationally on October 15 and in the United States and Canada on November 15.